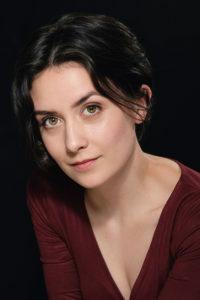 Edel trained as an actor and holds a BA in Drama performance from DIT. She has extensive musical experience and has been performing for many years both in choirs and as a featured soloist with credits such as ‘The Manchester Carols’ (All Hallows) and ‘Arise my Love’ (Celtic Mass). This summer she will be starring as the soprano soloist with the world renowned Riverdance at The Gaiety Theatre. This will be her third outing with Riverdance having performed in 2014/2015 at The Gaiety and also at The Apollo in London as part of the 20th anniversary tour. She plays many instruments including piano, guitar and ukulele, and has recently released her first EP, Bluebonnet Spring, which has enjoyed both UK and Irish radio play (BBC, RTE). Previous theatre credits include Romeo and Juliet (Smock Alley), The Arabian Nights (Project Arts), Agamemnon (Project Arts), The Curious Case of the Stoneybatter Strangler (Dublin Fringe 2013), Angels in the Park (Ranelagh Festival 2013), Monster Clock (The Lir), Look-at-me Disease (Smock Alley Scene/Heard), and When We Were Young (The Everyman, Cork).